To our valued collaborators, we here at DNASU wish to make you aware that we will be raising our rates on January 1st, 2018. In the past, DNASU has been partially subsidized by grants from the NIH, however, we are currently in transition to a self-sufficient model for our budget. Individual plasmids for academic/non-profit researchers will $55 per clone, plates of 96 clones (batch orders) will be $2000 each, and our large multi-plate plasmid collections will be provided at $2.50 per clone. We remain dedicated to providing high quality plasmids to the research community at low cost and our new rates reflect this commitment. For any questions related to price change, including our changes to commercial pricing, please contact us at DNASUHelp@asu.edu. The Arabidopsis thaliana ORF Collection V 1 is now available. This collection contains 12,085 ORFs, which represents 40% of all protein-encoding genes for this species, based on Araport 11 protein coding gene set. These clones are closed versions of the gene, 10295 in pENTR223.1 and 1790 in pENTR/D-Topo backbone vectors, both of which are Gateway Entry Vectors. This set of clones has been used previously to study the interactome of Arabidopsis thaliana. By using HaloTag-NAPPA technology and querying protein-protein interactions, Ecker et al used a set of 38 transcription factors related to plant hormone signaling pathways to identify 3,580 interactions among 2,238 proteins. 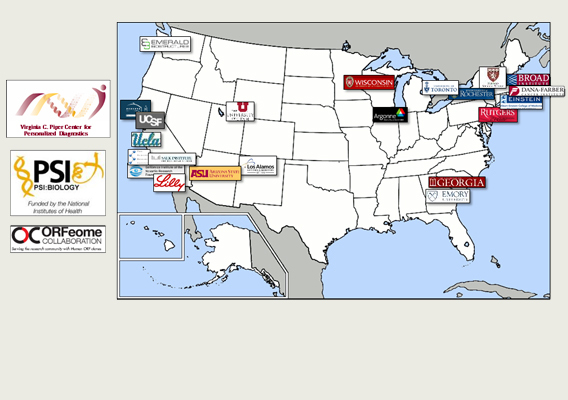 DNASU is proud to announce DNA preparation services are now available to our customers. As you order clones, in individual or batch orders, you can select to have DNA prepared and shipped to you with your glycerol stock. On the Checkout - Choose Payment Option page, you can opt to include DNA Preparation using our High Quality (only available to full plate orders at $325.00/96 well plate) or Standard Quality ($ 1.50/clone; $125.00/ 96 well plate) Extraction Services or you can place your order with No DNA (default selection). 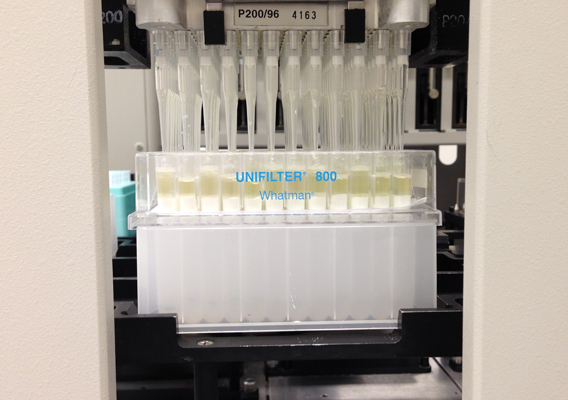 To find out more details on our DNA preparation processes , please visit this page: DNA Extraction. 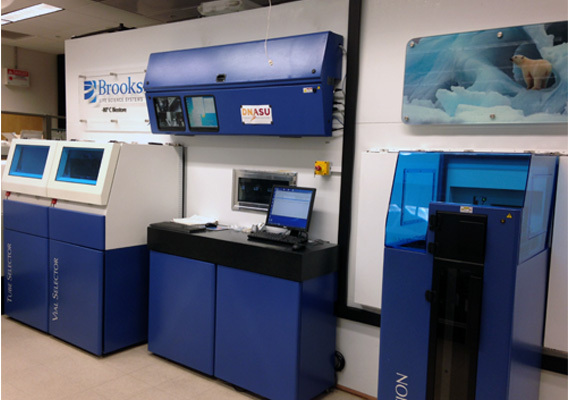 For DNA Prep involving Collections, please contact DNASU for a custom quote. 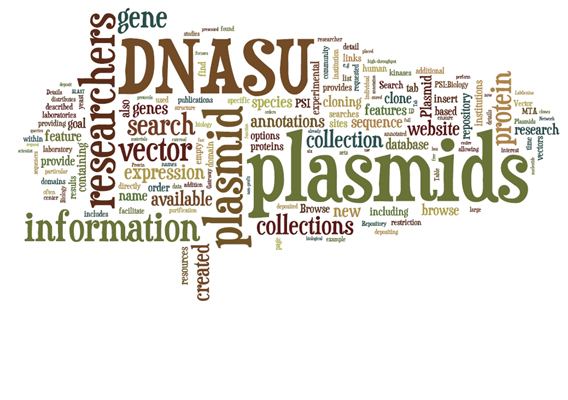 Collections : DNASU provides sets of plasmids that you can purchase at a discounted price. Browse all available special collections here. Empty Vector : Browse by vector characteristics such as tags and promoter. Or search for vectors using our Vector Feature Search or view all available empty vectors. 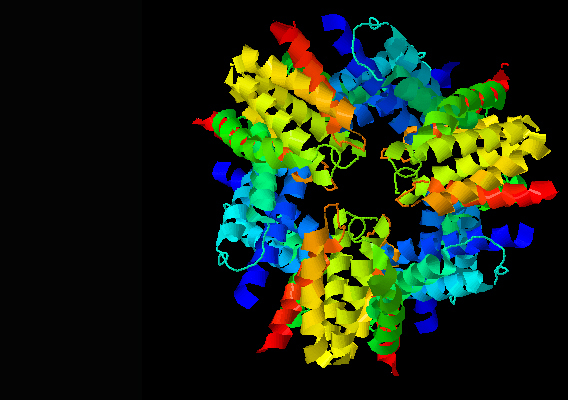 Author : Browse by person, institution or constortium that created the plasmid. 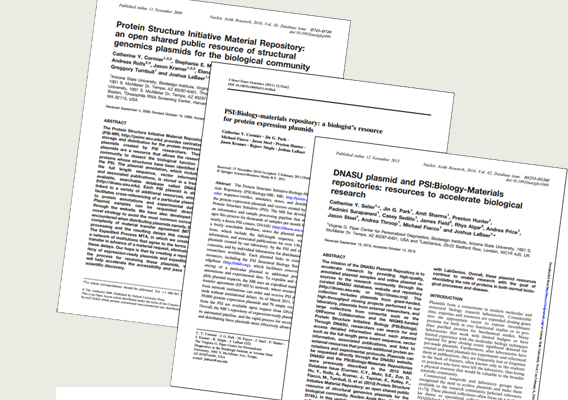 PSI:Biology-Materials Repository : Browse the PSI:Biology-Materials Repository by center or biological annotation.